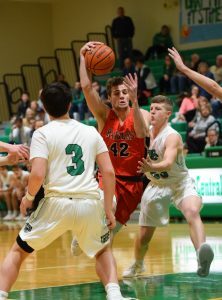 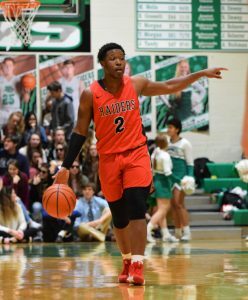 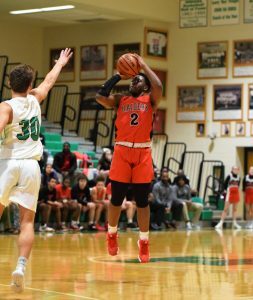 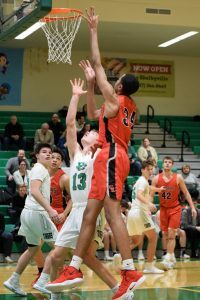 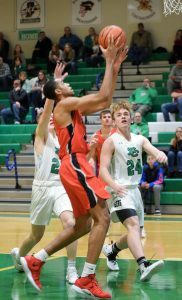 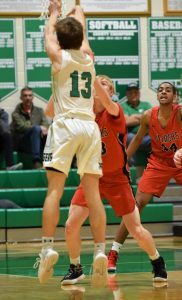 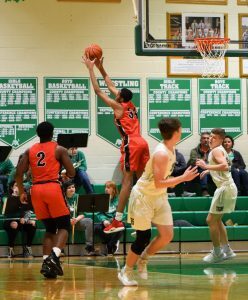 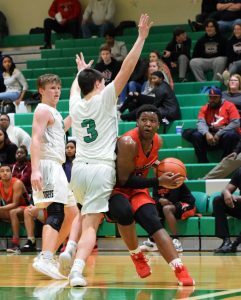 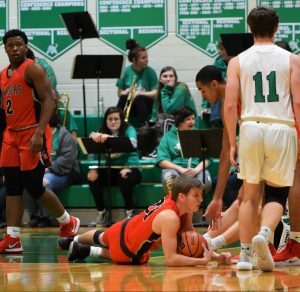 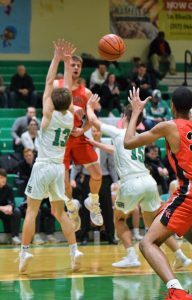 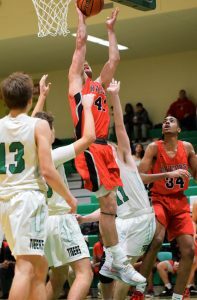 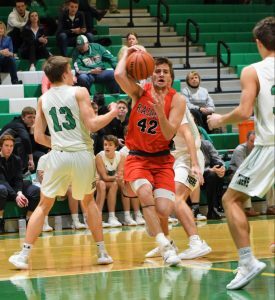 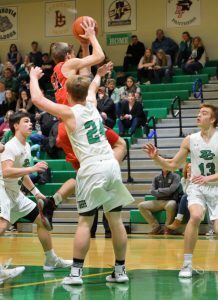 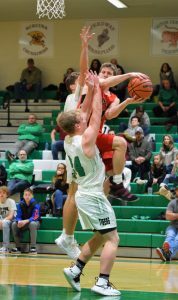 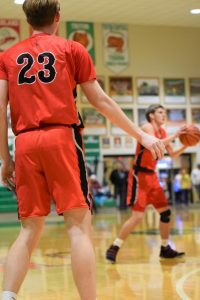 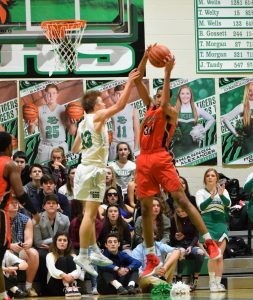 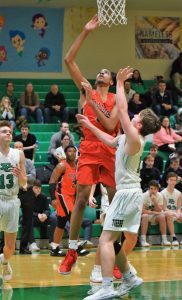 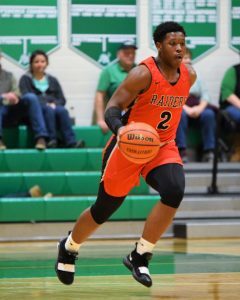 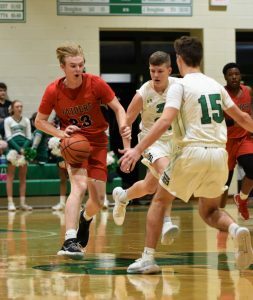 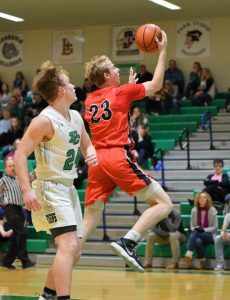 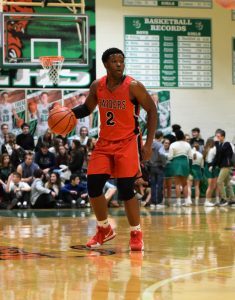 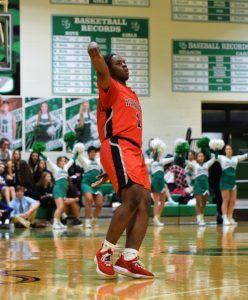 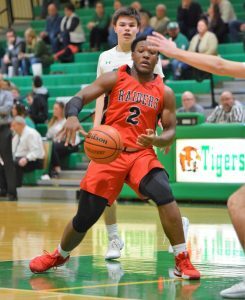 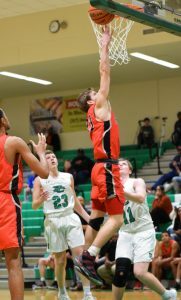 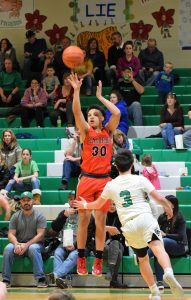 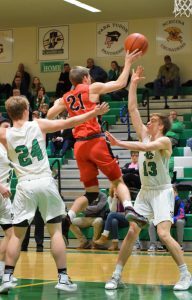 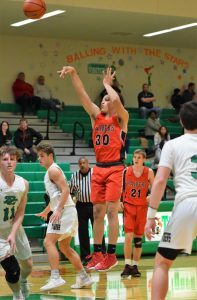 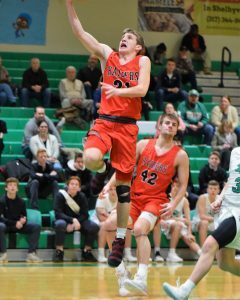 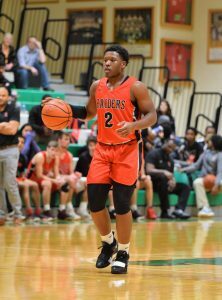 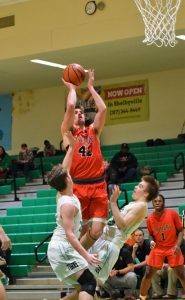 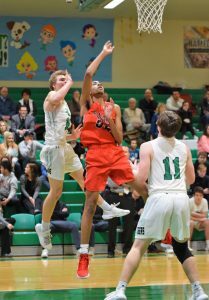 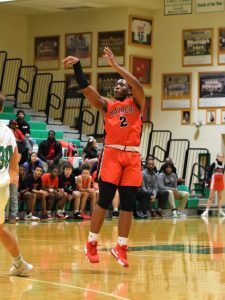 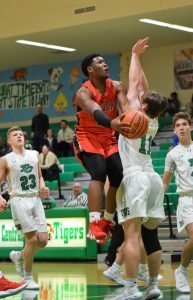 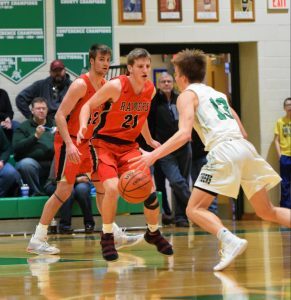 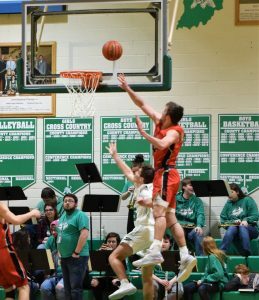 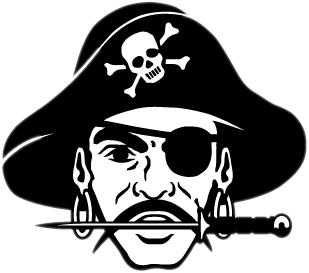 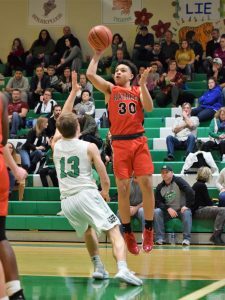 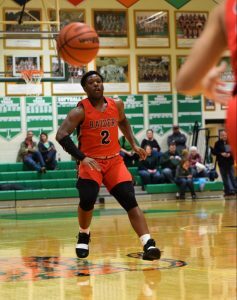 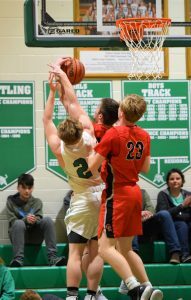 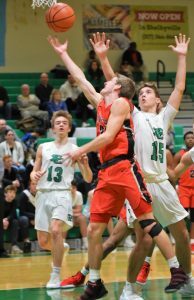 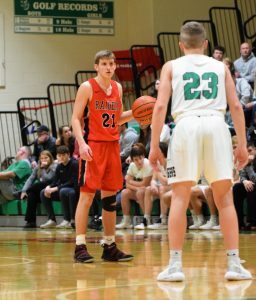 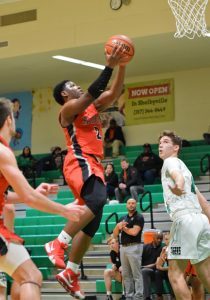 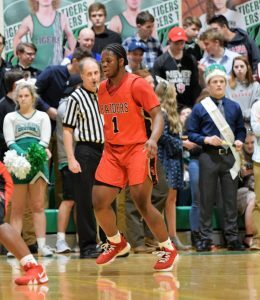 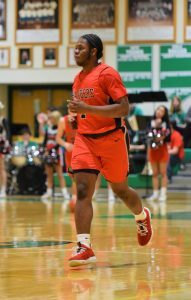 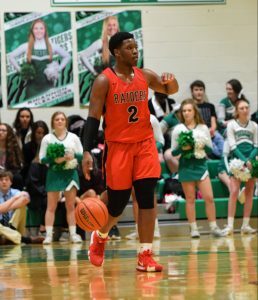 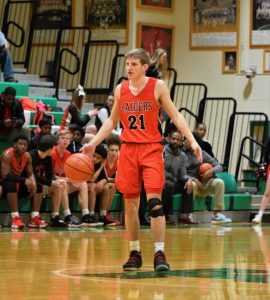 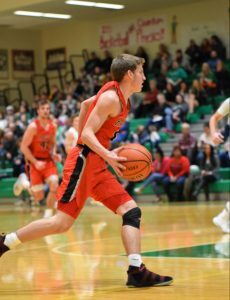 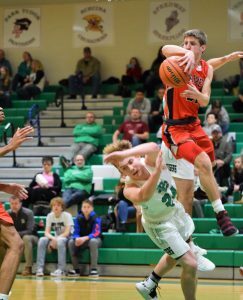 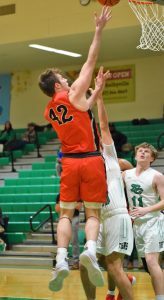 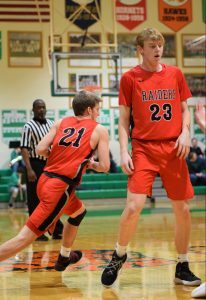 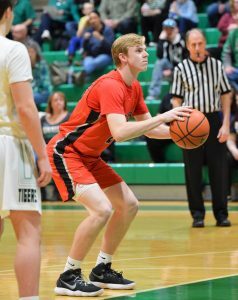 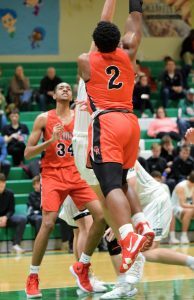 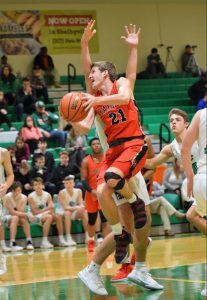 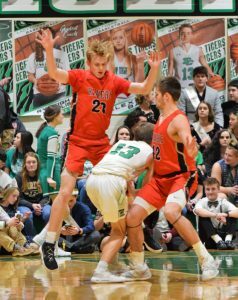 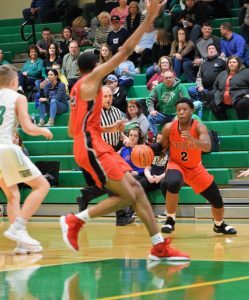 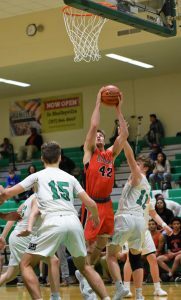 The Cardinal Ritter Raiders Boys Basketball Team defeated Triton Central, 90-75, to finish 6-1 in Indiana Crossroads Conference play on the season. 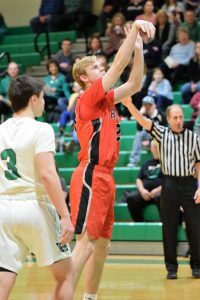 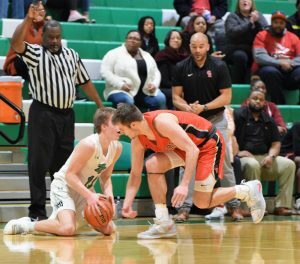 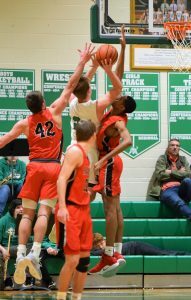 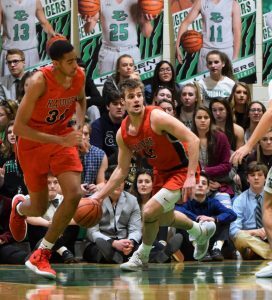 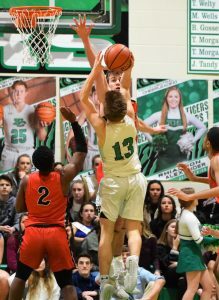 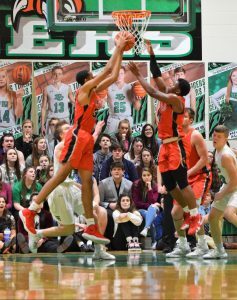 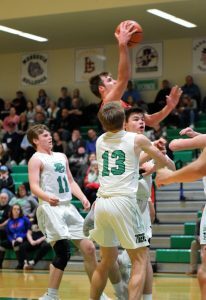 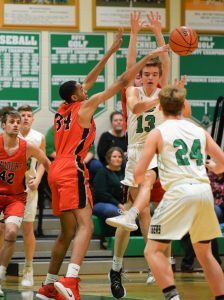 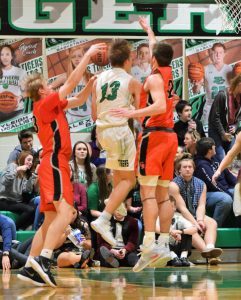 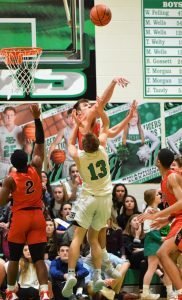 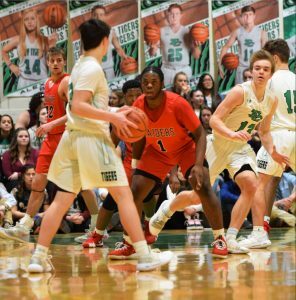 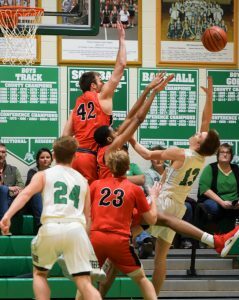 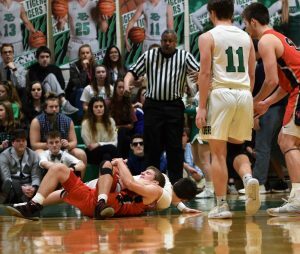 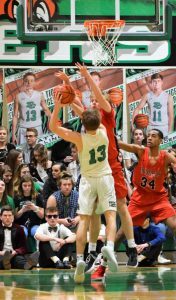 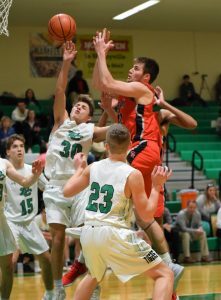 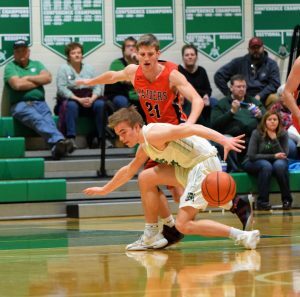 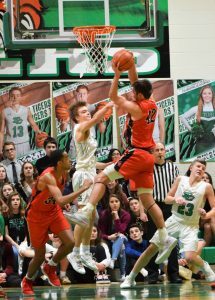 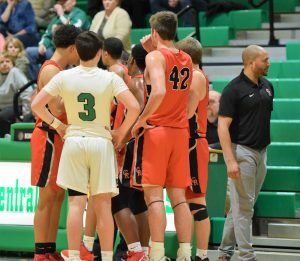 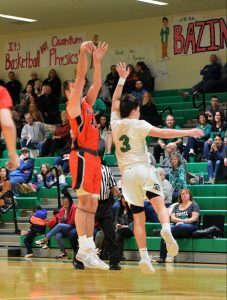 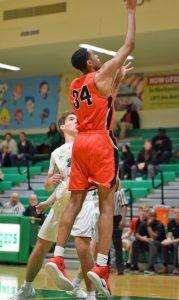 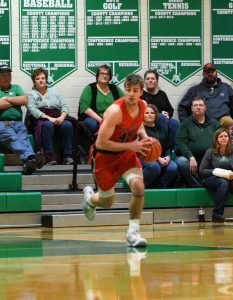 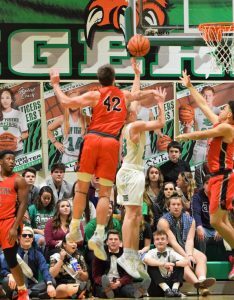 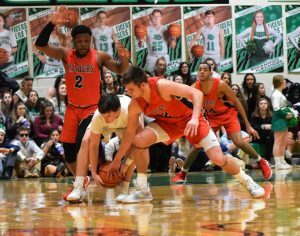 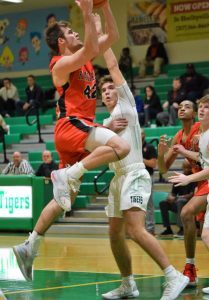 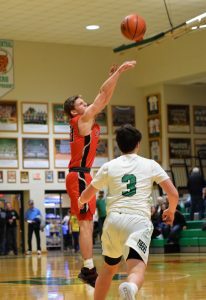 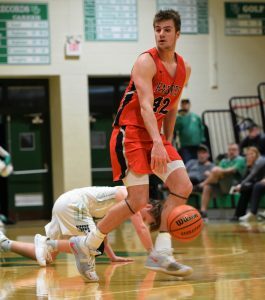 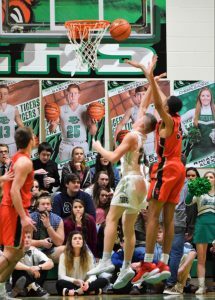 The Raiders led throughout the entire game, however Triton Central’s ability to connect from the 3 point line kept them within striking distance. 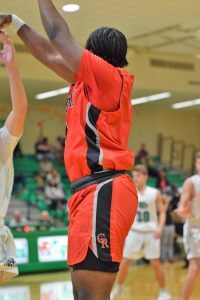 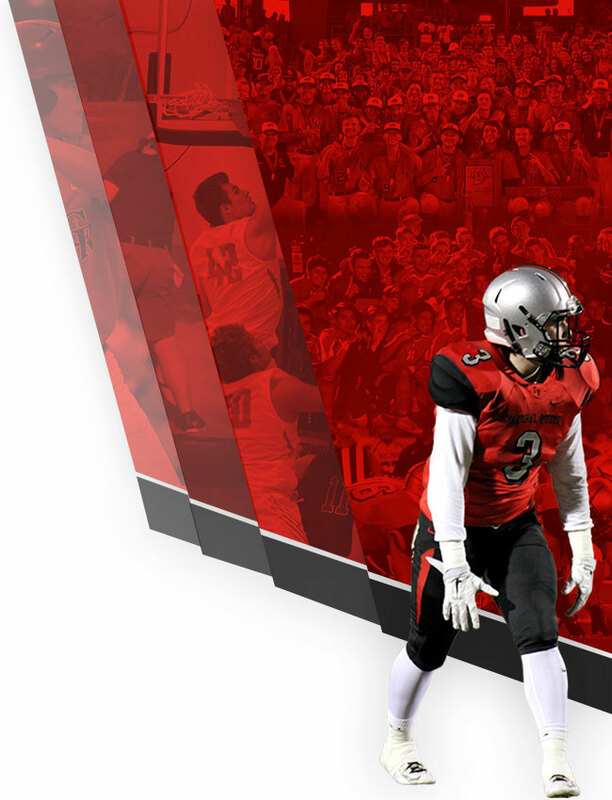 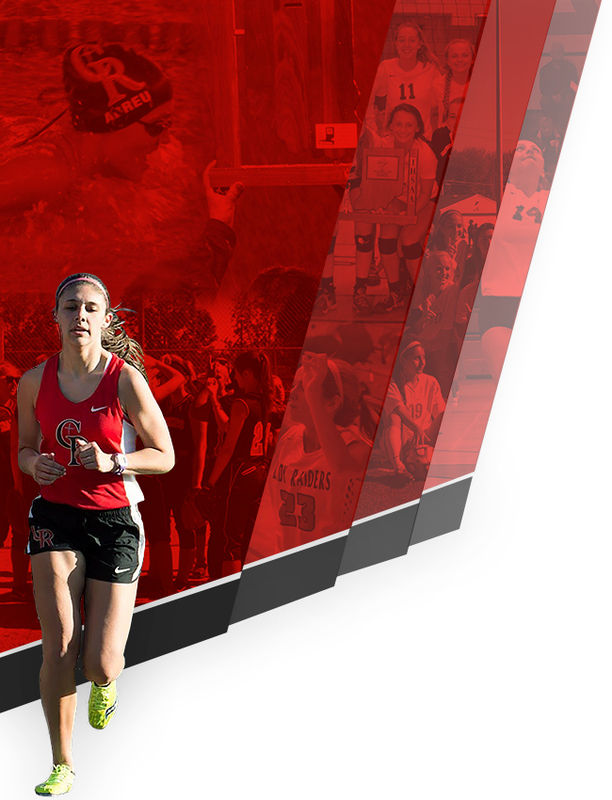 The Raiders were able to respond to each Tiger run with a run of their own to get the comfortable victory. 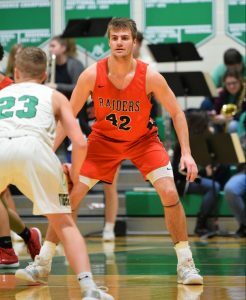 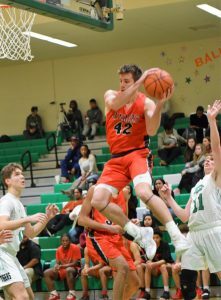 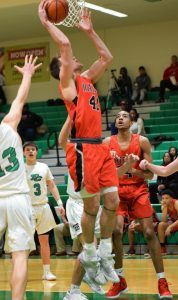 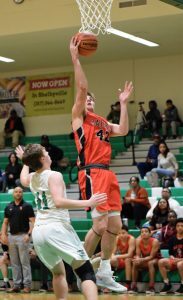 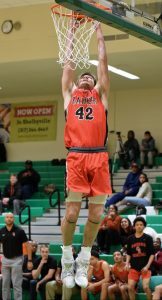 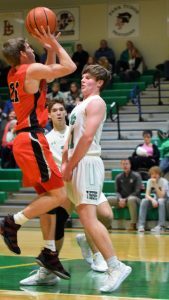 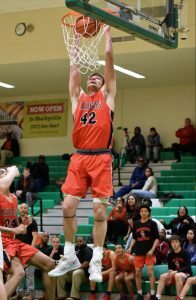 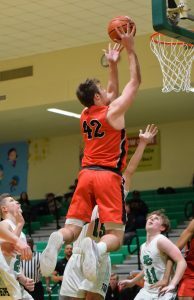 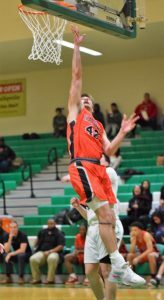 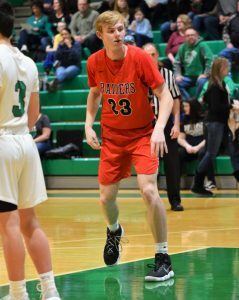 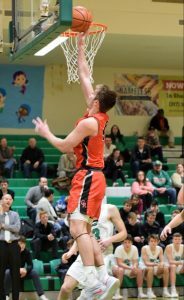 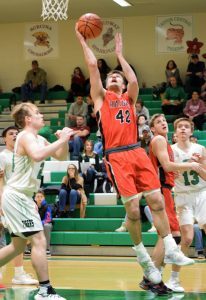 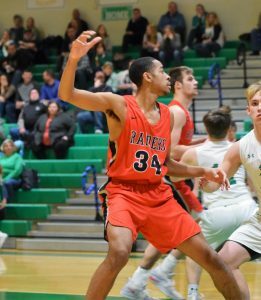 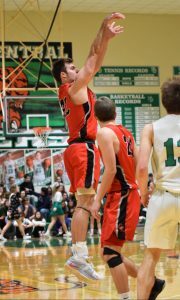 The Raiders had 3 players with 20 or more points on the night with “Nasty” Nate Soltis leading the way with 25 points and 12 rebounds. 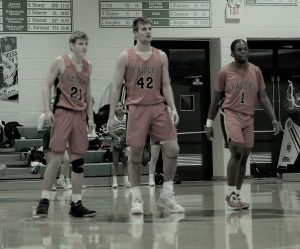 Dan “O-Mite” Bayler finished with 21 points and 8 assisst, and Damon “Old Oak” Ogletree, Jr. finished with 20 points and 15 rebounds. 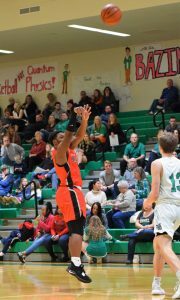 Marlon “Hot Shot” Anderson, Jr. was also in double figures finishing with 10 points 7 rebounds, and 5 assists. 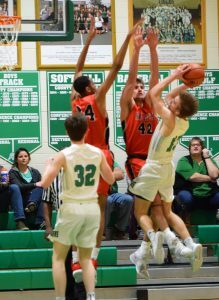 The JV Raiders also finished conference play with a win vs the Tigers 56-43. 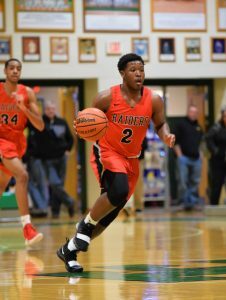 Jordan Turner led the Raiders with 14 points, and Will Sandifer added 12. 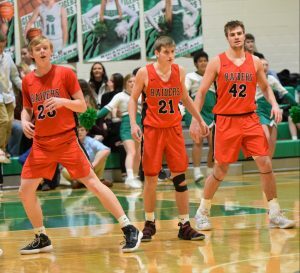 The Raiders are back in action Wednesday as they head to Chatard to take on the Trojans followed by Senior Night on Friday at home against Covenant Christian.